Adam Dicker, MD, PhD, of the Sidney Kimmel Cancer Center, Philadelphia, talks about apps as an example of a popular type of mHealth (mobile health). Prof Dicker talks about research using Apple research kit on an app created for patients with prostate cancer. This research looked at what types of apps are best received by patients and how patients are using them. The research has shown that there is generally a great number of initial downloads but after about 8-12 weeks, there is a significant drop in app utilisation. Dr Dicker explains that to ensure better patient engagement, creators must ensure that the amount of time that is required by the user is no longer than five minutes and that the benefit to patients is clear, for example, showing how they compare to other patients in the same type of setting, or that healthcare providers are ‘listening’ to the app. 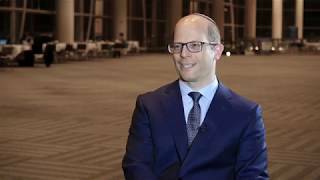 Recorded at the American Society of Oncology (ASCO) 2017 Annual Meeting held in Chicago, IL. 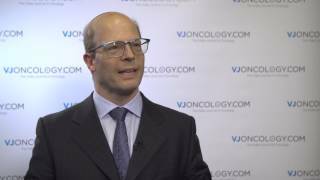 APF in prostate cancer patients following radical prostatectomy: what happens next? Case-based debate: is there evidence for local treatment in oligometastatic prostate cancer?